An amazing image from Gizmodo though the story is deeply boring and actually very disappointing. 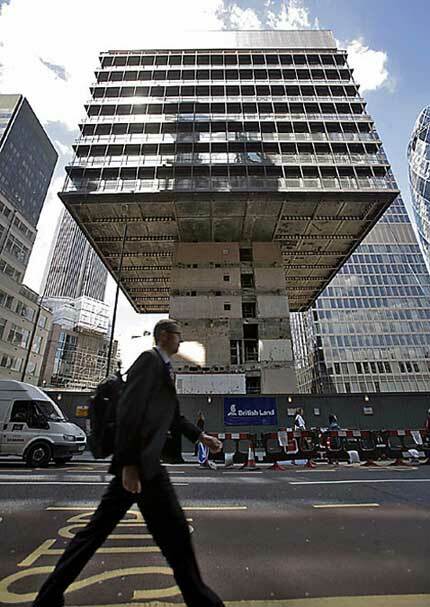 It is De-Construction in London. 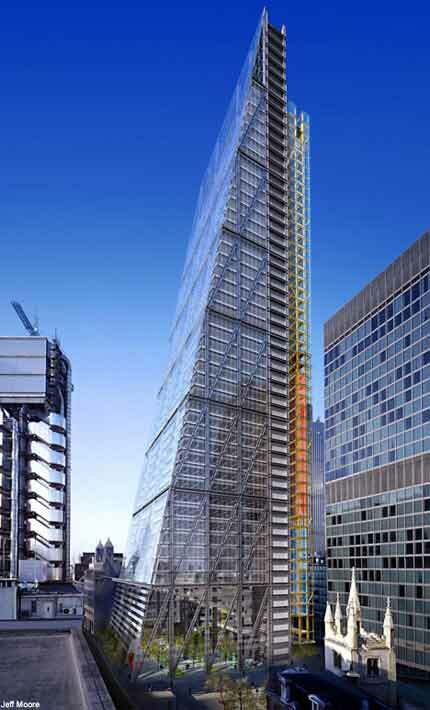 The original news item came from the Daily Mail which also shows the proposal for this site – a building nicknamed the Cheese Grater designed by Rogers Stirk Harbour + Partners – shown below. One image says so much….and the other so little.